Very nice! One thing I'd suggest is putting the buttons closer together. 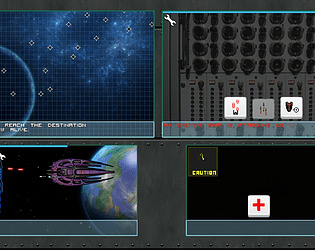 During battle it was hard to manage my ship repairs and shooting using a laptop with trackpad. First of all thanks for the comments ! I write them down for the post-jam version. In reality my main source of inspiration was Out There as i didn't play to FTL. I like it! 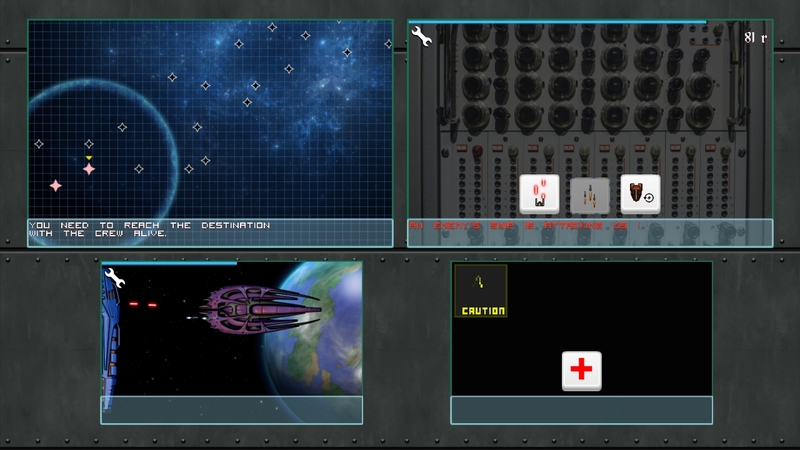 clearly inspired by FTL but without the micromanagement, took me a while to figure the shield thing wasn't a handy shield for combat but a resource collector, could have used some instructions! some different interactions other than shoot until either party dies might make for a more varied game, but it's a good start! The jar was inside the zip and i forgot to mark it for Mac and Linux... I updated the files so it's more clear now. The jar is for all and the zip contain the jar plus an exe file.